Keisha was raised in the Wetaskiwin area. She joined our team in 2011 as a fresh grad from NAIT and worked here until the end of 2014 before leaving for maternity leave. We are happy to have Keisha back full time this year. Along with being a full time veterinary technician, she is also an integral part of keeping our clinic running smoothly with her management of our inventory supply. 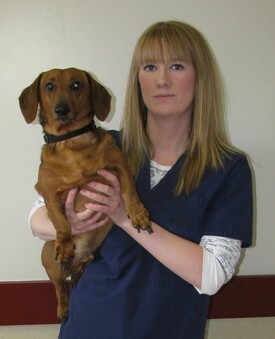 She has a love for Dachshunds and her face lights up whenever a Dachshund enters the clinic. 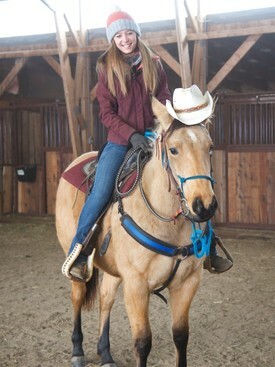 Mackenzie grew up in the Fraser Valley of British Columbia on a hobby farm, allowing her to have many opportunities to own and work with different kinds of animals. 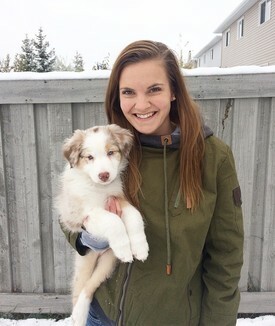 She moved to Alberta in search of pursuing her passion for animal health at Lakeland College in Vermilion. 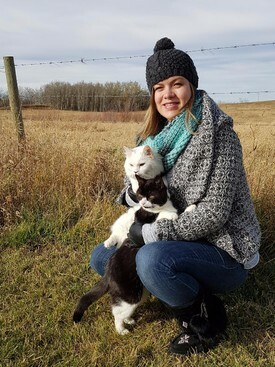 She graduated in 2017 from the Animal Health Technology program and now calls Daysland, AB her new home. When Mackenzie is not at the clinic you can find her baking, camping, showing cattle, and exploring everything Alberta has to offer. Katie was born and raised in Edmonton, Alberta. 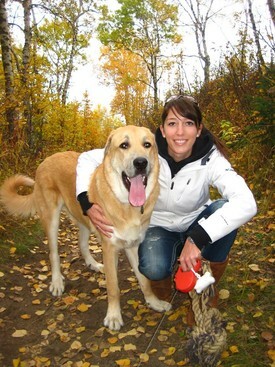 Her love for animals has intrigued her in pursuing the Animal Health Technology Program at NAIT, in Edmonton, AB. Upon Graduating from NAIT Katie started her practicum here at WVH where she worked along side our team to apply her schooling to practice. Since her completion of practicum Katie has recently moved to the wetaskiwin area and has become a full time member of the WVH Team. When Katie is not working she enjoys spending time outdoors, with family and friends, and with her various animals including her donkey, horses, dogs, and chickens. Michelle was born and raised in Wetaskiwin and besides the odd occasion, had never really been around large animals growing up. She has always known that she wanted to be involved in veterinary medicine, and loves every part of working in a mixed practice. Michelle completed 2 years at the University of Alberta before entering the Animal Health Technology program at NAIT where she graduated in 2009. If not at the clinic, you will find Michelle with her husband Kory and their dog ‘Thunderpaws’ either camping, quadding, boating, or all of the above! 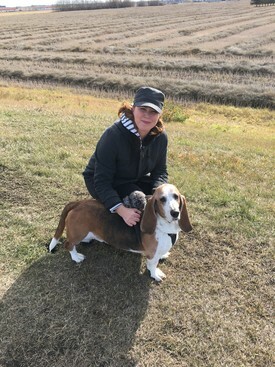 After previously working at the Wetaskiwin Veterinary Hospital, Debi comes back to us after 10 years in which time she owned and operated an award-winning grooming salon in Wetaskiwin, Alberta. She has enjoyed being a part of the local dog community for more than 20 years through her experience in dog agility, training, rescue, and being a certified pet stylist. Outside of spending family time with her husband Randy and basset hound Frank, you’ll catch Debi in her garden or enjoying interior and floral design. We are happy to announce Annette will be away on maternity leave beginning July 2018. She and her husband are looking forward to their new adventure in life, and will be truly missed by her WVH family and clients while she is away. Annette grew up in a small town BC before relocating to Fort McMurray with her family. 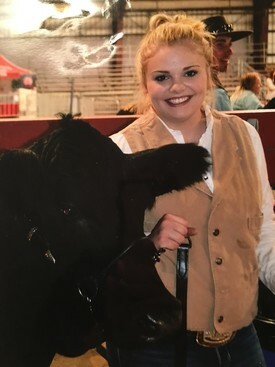 From there she went to Lakeland College in Vermillion, and graduated with a diploma in Animal Health Technology in the spring of 2015. She joined the WVH team in February 2016. When not in the clinic, you can find Annette with her husband Jordon, and their Australian Shepherd "Cricket" either camping, horseback riding or volunteering at Circle Square Ranch. We are happy to announce Maleah will be away on maternity leave beginning March 2018. She and her husband are looking forward to their new adventure in life, and will be truly missed by her WVH family and clients while she is away. Growing up with an inventor for a father, Maleah was used to the nomadic lifestyle that was required to follow the latest opportunities. When she was young, she was always bringing home strays and making friends with the neighborhood pets, and has been a proud pet parent of chinchilla's, bunnies, cats, dogs and horses. Despite her family's itchy feet, she settled down in this town of ours with her husband Kyle, her two cats, Sneaky and Kiwi, and has called Wetaskiwin home now for over a decade. She and her husband Kyle enjoy being active members of the community, volunteering much of his free time to the local Fire Department, both to various fundraisers, and she, the performing arts theatre club. When Maleah is not working as our clinics Customer Service Representative or volunteering her time, you may find her working up a sweat at one of our local gyms, curled up with a good book and some Sneaky snuggles, or enjoying the great outdoors, camping, hiking, fishing, or just relaxing on the beach.